In this episode of The Brain Food Show, we kick off a series on space related facts. Before we get started in that, however, we do some follow up answering the question of whether the Allies in WWII used prisoners of war as slave labor. We then jump into the topic of the real life job of Space DJ, then the saga of the Pillownaughts. On another, if you could do us a huge favor and rate and review this show in whatever podcasting platform you’re using (including hopefully giving us some feedback related to the new format), we would be extremely grateful. Thanks! 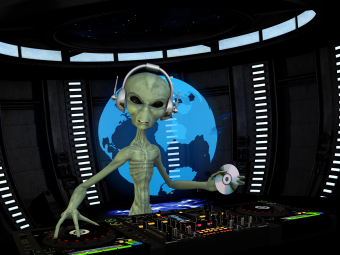 I really like the podcasts, mostly the fearless polish man but this time I saw the space dj video first and it bummed me out that the video was pretty much a copy paste of this or the other way around. I didn’t want to skip anything because maybe you guys had a fun sidetrack or extra facts but this part was pretty much the script of the video, close to being word for word. I feel like it’s best to keep the subjects of videos and podcasts segregated when more and more people from youtube begin to stream in. For the rest a great show to listen just before I go to bed, maybe too good since I stay up and listen to another one. Something that could add a little extra for me would be a way to add a file somewhere with pictures about the subjects whilst you guys talk about it. Like when you say Roosevelt is such a buff man, I as a Belgian immediately wanted to have a look at how buff he really was or when you talk about a giant moose I just want some pics to be blown away by because they really are beasts. It may take away from it being a podcast but that’s just how I feel whilst sitting here on my laptop watching at nothing. Though most people listen while doing something. Maybe that could be something that makes you different/better than all the rest in the podcast community. First, I’m so glad that this podcast exists and find it both entertaining and informative. Great work and keep it up! Secondly, one small criticism: during your follow up segment, you refer often to the use of POWs in allied camps as a disregard for the Geneva Convention. Several times Simon states that the US and its Allies “threw out the Geneva Convention” to get even with the Germans. However, the use of prisoners of war for labour is not only permitted by the GC, it is explained in great detail the vast types of labour that can be expected of prisoners. In fact, when i was serving in the US Army (2004-2010) we were subjected to a class on Codes of Conduct (essentially how to behave when taken captive) where we were instructed that we would likely be utilized for labour and, while we were expected to attempt escape, labouring was considered reasonable. These details can be found in the Third Geneva Convention, Section 3 (Articles 49–57). I just wanted to make this known because we in the modern era tend to morally whip our elders for “barbaric acts”. In this case, Allied use of prisoners for labour is, I believe, legal… not retaliation as was kind of insinuated during the episode. Bear in mind, the living conditions that the responsible state is required to provide prisoners is also plainly articulated, and I’m not defending any breach of this; only as it applies to labour. Cheers, gents! Thank you for a great show!